Took a bunch of indoor plants out to the porch this morning for a shower and drink of collected rain water. This one is blooming for the first time under my care. I bought it a couple of years ago at the laundromat on the corner where the owner's mother likes to grow a few random plants. 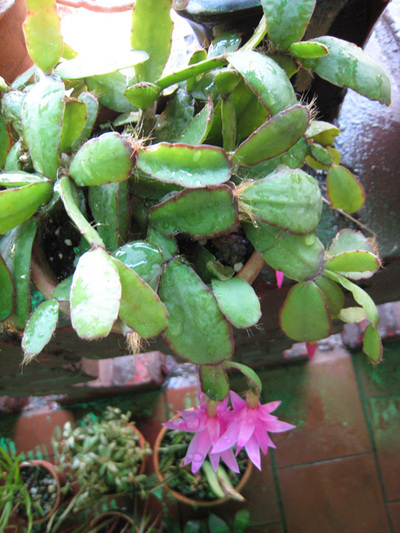 I'm pretty sure it is Rhipsalidopsis gaertneri which is called easter cactus – similar to christmas cactus.